Mumbai Lakes and Water Position as on 16th february 2015....See Mumbai Page. 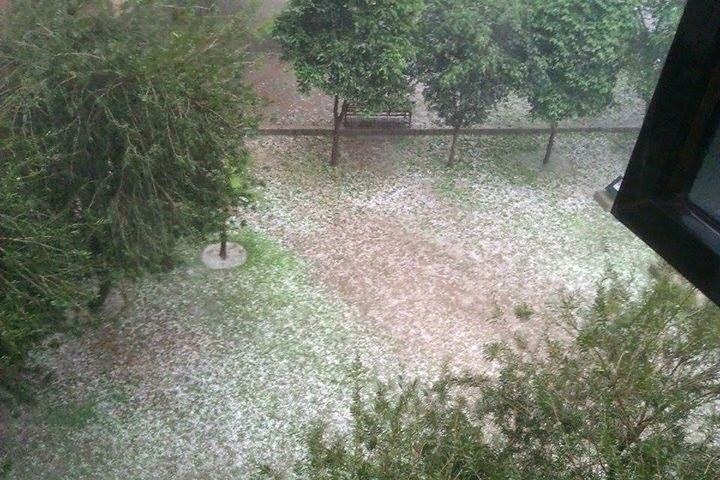 And F-3 comes to North Pakistan and Pak Punjab on Monday..Murree got 19 mms Precipitation and Islamabad 10 mms.Lahore got hails and rains...see Pic sent by Waqas. Western Disturbance F-3 approaches Northern Pakistan and Kashmir on Sunday 15th evening. Rains and snow in hills ( Kashmir/HP) likely in Pak Punjab and Indian Punjab form Monday 16th. Another back to back stronger WD, F-4 moves into Pakistan on 21st. F-4 likely to cover almost all of Central/ and North Pakistan, from Sindh to extreme North, and then moving into Indian Punjab and Haryana. Punjab sees a rainy week from Monday 16th...Amritsar getting showers from Monday evening through Thursday. F-3 and F-4 will bring continuous rains/snow in Kashmir from Sunday 15th to Monday 23rd. This may result in flooding downstream. Delhi NCR sees Temperatures just about touching 30c by Tuesday. Kolkata can expect showers on Sunday 15th evening. More Updates on F-4 on Monday. North/NW winds continue in Mumbai next few days. Will keep the day temperature around 32c at Santa Cruz and minimum a pleasant 17c..
Srinagar is showing very high temps this year. As you know, vagaries mentioned the first snowfall also was as late as 1st Feb..meaning Dec and Jan was almost dry. The temps rose as a result. See the chart diagrams showing the point of view....(Anoop's Comment). Deccan Plateau & Interior Konkan near Western Ghats’s heat up earlier than normal !! Some Maharashtra cities max temp in C for today (16-02-2015) with departure from normal in brackets!